Chinese universities start a new spring semester in March. International students from British, Italy, South Africa, Zambia, Nigeria, India and other countries are arriving in China. Thus, SICAS Student Service Team Members of SICAS Headquarter and different cities are busy picking up and serving students who landed in China from around the world. Here we select some airport pick-up pictures which were taken by SICAS Student Service Team Members and sent to the students` parents on the minute of the students` safe arrival in China. 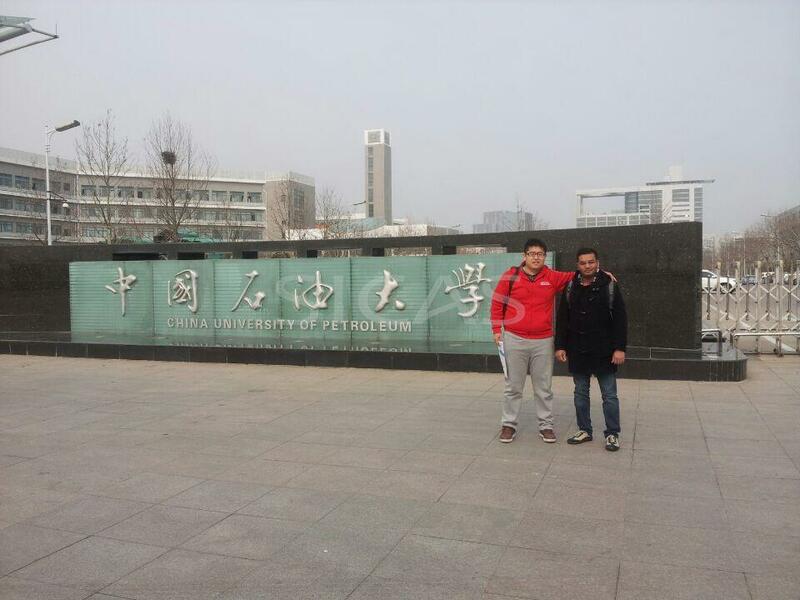 SICAS Student Service Team Member Tommy set off from SICAS Headquarter Qingdao to picked up Indian student Dennis from Qingdao Airport and accompanied him to China University of Petroleum (Huadong). SICAS Students Service Team Member Summer picked up Ali from Beijing Airport and accompanied him to Beijing Language and Culture University. The following picture is Ayomide from Nigeria who will spend four years studying in Donghua University. SICAS Service Team Member Rudolf picked her up from Shanghai Airport and accompanied her to the university. After accompanying Dennis for the whole week, one of our most experienced SICAS Student Service Team Member Tommy set off again. On the early morning of today, he picked up Violet from Qingdao Airport and escorted her to Weifang Medical University. 7: 40 AM Everything is done, setting out to Weifang. 10:15 AM Tommy sent message to SICAS headquarter to report their arrival in Weifang and he will accompany Violet do register in the afternoon. SICAS student Mathius arrived from Tanzania to study for MBBS at Liaoning Medical University on March 13th, 2014. He was picked up by SICAS Students Service Team Member Rudolf. 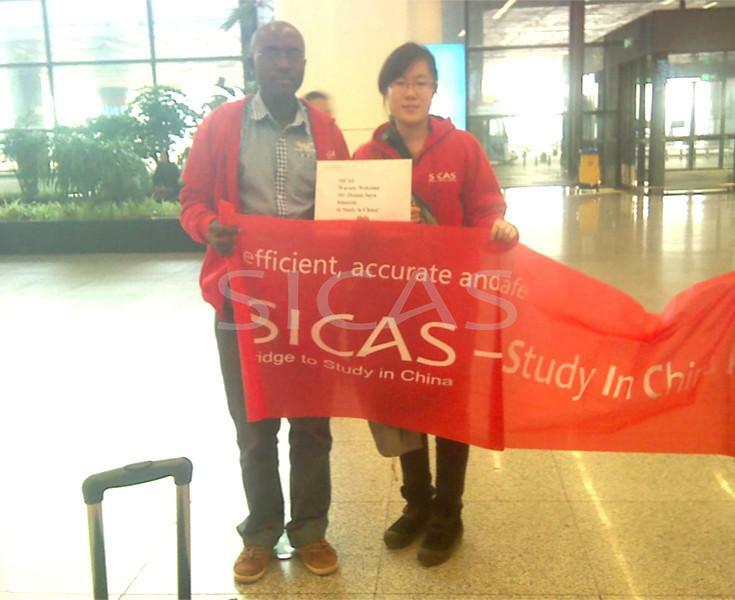 On March 17th, 2014, SICAS Students Service Team Members went to Wuhan International Airport, to pick up the SICAS students, who will study in Huazhong University of Technology from March, 2014. SICAS students arrived from South Africa to study for their undergraduate degrees at Shandong University on March 20, 2014. 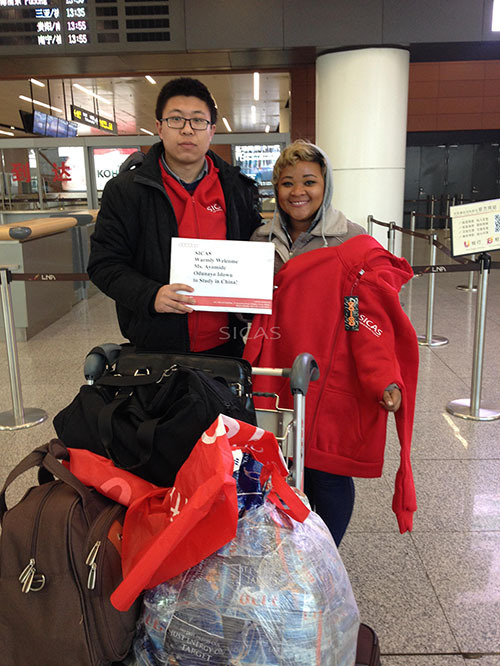 They were picked up from Jinan International Airport, and ushered by SICAS Students Service Team Members. On March 23th, SICAS Tanzania Students Janeth and Karima arrived at Beijing Airport to study atUniversity of International Business and Economics. They are picked up by SICAS Students Team Member Representative of Bejing, Jessica.